Try saying that five times fast….GO! 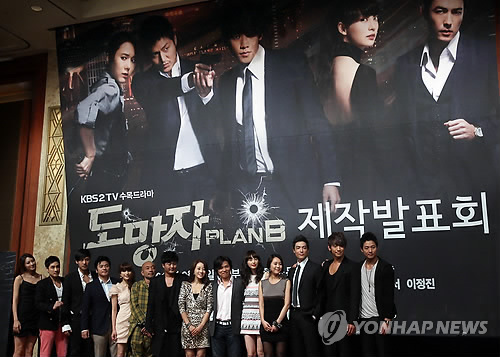 New drama, “The Fugitive: Plan B”, is slating for debut in a couple days and with that comes a very good-looking press conference. 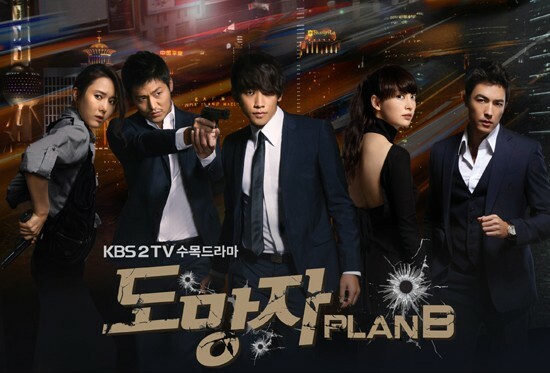 Fugitive’s main lead, Rain, stated that he and his fellow costars did a lifetime’s worth of running for the drama. He also said there is a lot of pressure for this drama since it came from the directing/writing team of “Chuno” (Kwak Jung Hwan and Chun Sung Il respectively). 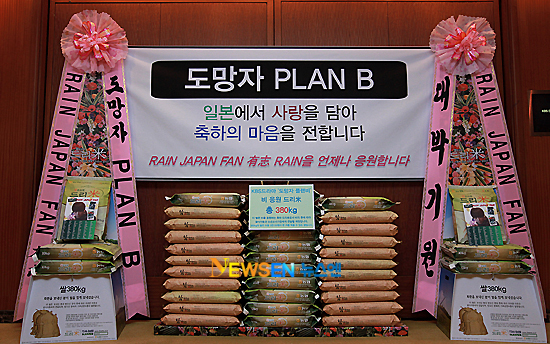 For the conference, Japanese Clouds donated in 380kg (that’s about 840lbs) of rice asking the Fugitive team to pass it on to the needy. I have nothing against fans who bring meals to film sets for the cast and crew, but this was just great on the Japanese fans’ part.